Recent changes in legalisation regarding the testing of your child’s aptitude have come into play – and indeed further legislation has stipulated that additional tests are to be carried out in the coming years. We have produced a list of what tests are to be carried out, and at what age, so that you as a parent will have an idea as to how best to serve your child’s needs in gearing up for and sitting these tests. These tests vary from country to country in the United Kingdom so we have broken them down as such. Age 7: Key Stage 1 is a national test available in both Mathematics and English. These are marked within your child’s school and are used as both an indicator and assessment by your child’s teachers who subsequently decide upon the level achieved. Age 11: Key Stage 2 these are, again, national tests but this time in Mathematics, English and Science, which are marked outside the school. These results are published on a national scale and in some areas used as benchmark testing for those children who are seeking a place at grammar school. If your child is sitting these tests in order to gain a place at grammar school they are marked externally but the results are kept private. Age 14: Key Stage 3: Again these are national tests in English, Mathematics and Science that are marked externally and the results published nationally. These are the final set of Key Stage tests before you child moves on to taking GCSE level examinations. Age 10: New so-called ‘Skills Tests’ in numeracy, literacy and problem-solving abilities have been piloted from 2006 and will become mandatory testing criteria from 2008. Age 11: Key Stage 2 national testing in English, Welsh*, Mathematics and Science are optional and marked externally with the school’s results available within the catchment area. Age 12: Key Stage 3: Again, national testing in English, Welsh*, Mathematics and Science. Like Key Stage 2 tests, these are optional and as before they are marked externally and the school’s results are available within the catchment areas. 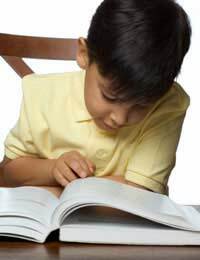 Ages 5-14: Now called ‘Assessments’, what were once national tests, are taken in Reading, Writing and Arithmetic. These are very similar to Key Stages 1 through 3 that children take in England, Wales and Northern Ireland with the exception that children are not tested specifically by age or stage but at a teacher’s discretion. The newly formed Scottish Executive is now trying to push through the idea that ‘assessment is for learning’. Age 11: Transfer tests in English (or Irish*), Mathematics, Science and Technology for those seeking grammar school placements. Still referred to as the 11+ but this will be phased out by the end of 2008. Age 14: Key Stage 3 national tests in English (and Irish*), Mathematics and Science are now optional, marked externally and the results are available within catchment areas. These tests are used as a means to measure your child’s aptitude and to best judge what level of education is best suited to them. They are also used as a means of identifying if your child has any special requirements from an educational viewpoint. It is also worth remembering that, although these tests are now becoming compulsory across the educational spectrum, they are not meant to act as a means of segregation or discrimination but as a means of identifying weak spots not only in your child’s education but also in the educational system as a whole. They are also used as a measure of how well schools and local education authorities perform. Hello! Salut! Ciao! Hallo! Kon'nichiwa! Ni hao! Merhaba! and Guten Tag! As you can see I'm very interested in languages and I love challenging and stretching young peoples minds. I am a half time teacher at Henrietta Barnet Secondary school and I am a well paid language tutor. I know 20 languages and I can't wait to ask questions and discuss my opinions.